Pleased to report our founder completed the Edinburgh Marathon in 4h 10m 29s on what turned out to be a warm sunny day! All worth it though as much needed cash raised for SSPCA, and thanks to all who have contributed. A big thanks to the support team too! 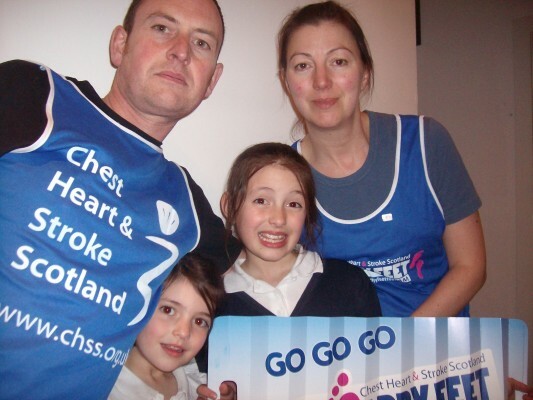 Our founder, John Buick, successfully walked 26 miles as part of team 0-4-6 from Hampden to Loch Lomond for the KiltWalk 2011 to raise money for The Tartan Army Children's Charity. It was touch and go for a while after suffering from severe blisters but as the pain got too much the pace was upped and a respectable finish in 8th place was achieved out of 406 fellow walkers! A special mention to the walking team 0-4-6 who were John Buick, Keith Devlin, Stuart Thomson and Alan Stewart. Thanks to everyone for their sponsorship! Last year the Kiltwalk raised over £100,000 and it is hoped this year's event has raised even more.